Computer Science is a broad field which encompasses all aspects of computers, including the design and application of both hardware and software. Career opportunities are diverse and are found in computer design, manufacturing, development, testing, transportation, communications, research, education and management. 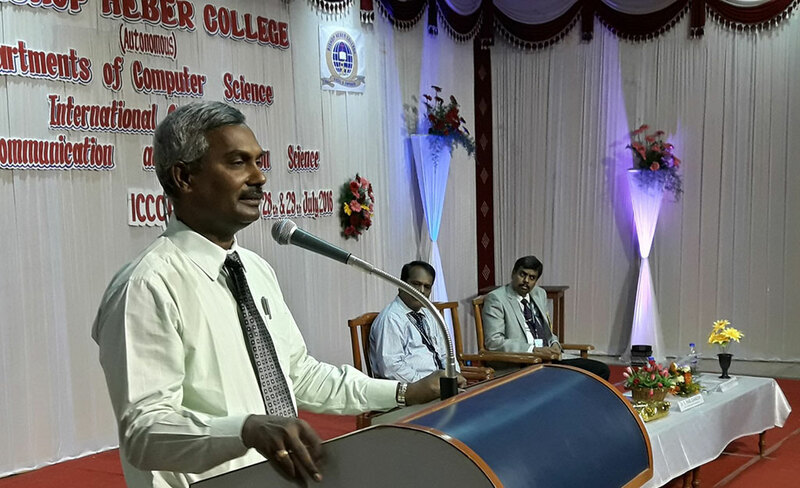 The PG Department of Computer Science and Applications is the pioneer in computer science courses, being the first college to offer a degree course in Computer Science in the city of Tiruchirapalli from the year 1984. The programs offered by the department imparts quality education for the students especially the poor, the needy and the underprivileged by providing more career opportunities in IT sector, educational banking and Government. The Department is equipped with a well-furnished computer laboratory and a Department Library furnished with the latest journals and books on Computer. To break the geographical boundaries, the Department has a separate internet laboratory for surfing the net. The A/C Seminar Hall with excellent seating arrangement and LCD projector facilities is fully put to use by the Department. The faculty has some of the best talents drawn from academics and management professionals who spare no effort in catering to every scholastic need of the students. Faculty members act as mentors, guiding students during the courses to help them develop the necessary technical skills and attitudes required to become successful IT managers and corporate citizens. They are also involved in research activities in various fields like Genetic Algorithm, Networking, Data Structures, Software Engineering, Compiler design, Database Management Systems, Java, and Simulation Techniques. To produce World-class professionals who have excellent analytical skills, communication skills. Team building, spirit and ability to work in cross cultural environment.To produce international quality IT professionals, who can independently design, develop and implement computer applications. The Department of Computer Science seeks to function through compassion with efficiency and innovation to achieve excellent standards of quality education by keeping pace with rapidly changing technologies and create manpower of global standards with capabilities of accepting new challenges.